Wikimedia Foundation stories at Techdirt. We've written a few times about the copyright status of the Diary of Anne Frank lately, mainly because it's pretty clear that the original work was supposed to enter the public domain in Europe on January 1st of this year, as it was 70 years after Frank's tragic death. However, the copyright holder, The Anne Frank Fonds organization in Switzerland has been trying to claim that the work is still under copyright, and that Anne's father, Otto Frank, is a co-author of the work. Either way, the work is not in the public domain in the US, because the US (ridiculously) grants copyrights for an even longer term than Europe. We took this action to comply with the United States' Digital Millennium Copyright Act (DMCA), as we believe the diary is still under US copyright protection under the law as it is currently written. Nevertheless, our removal serves as an excellent example of why the law should be changed to prevent repeated extensions of copyright terms, an issue that has plagued our communities for years. Specifically, Wikimedia notes that, as a US company, it's under the jurisdiction of US law, and the DMCA includes a provision on "red flag" knowledge, that says if you are aware of infringing material, and you do not take it down, you may be liable. Thus, it removed it, even though it did not receive a specific DMCA takedown notice. Of particular concern, the US’ 9th Circuit Court of Appeals stated in their ruling for UMG Recordings, Inc. v. Shelter Capital Partners LLC that in circumstances where a hosting provider (like the Wikimedia Foundation) is informed by a third party (like an unrelated user) about infringing copyrighted content, that would likely constitute either actual or red flag knowledge under the DMCA. We believe, based on the detail and specificity contained in the emails, that we received that we had actual knowledge sufficient for the DMCA to require us to perform a takedown even in the absence of a demand letter. There is, admittedly, a fair bit of controversy over the whole "red flag knowledge" concept, with different courts ruling different ways. However, you can understand why Wikimedia might not want to take the risk when there's a very real chance a ruling could come down against them. Even if you disagree with the appropriateness of the whole "red flag knowledge" concept or its application here, you have to respect Wikimedia's decision not to set itself up to be a sacrificial lamb in a case that it could very well lose. However, in the United States, the Anne Frank original text will be under copyright until 2042. This is the result of several factors coming together, and the English-language Wikipedia has actually covered this issue with a multi-part test on its non-US copyrights content guideline. In general, the U.S. copyright for works published before 1978 is 95 years from date of publication. This came about because copyrights in the U.S. were originally for 28 years, with the ability to then extend that for a second 28 years (making a total of 56). Starting with the 1976 Copyright Act and extending to several more acts, the renewal became automatic and was extended. Today, the total term of works published before 1978 is 95 years from date of publication. Foreign works of countries that are treaty partners to the United States are covered as if they were US works. and would have had U.S. copyright but for the fact they were published abroad. Court challenges to the URAA have all failed, with the most notable (Golan v. Holder) resulting in a Supreme Court ruling that upheld the URAA. What that means for Anne Frank’s diary is unfortunately simple: no matter how it wound up in the United States and regardless of what formal copyright notices they used, the US grants it copyright until the year 2042, or 95 years after its original publication in 1947. Under current copyright law, this remains true regardless of its copyright status anywhere else in the world and regardless of whether it may have been in the public domain in the United States in the past. It's unfortunate that this is what the law is and that the chilling effects this has is hiding away an important piece of cultural history. But, at the very least, let it be yet another reminder that copyright reform requires a major change to copyright terms, and retroactive expansion of copyright terms is a concept that should never have been allowed. Section 215 of the PATRIOT Act: Under this program the NSA is collecting all the phone metadata on calls in the US. Executive Order 12333: This is what enables the NSA to hack into pretty much anything overseas -- including things like Google, Yahoo and Microsoft's data centers. PRISM: Actually part of Section 702 of the FISA Amendments Act. Allows for (slightly) targeted collections of information via a court order from the FISA Court, demanding specific types of information (rather than "all" information). Upstream collection: Also under Section 702, but this is the program that lets the NSA tap into backbone fiber optic cables, such as from AT&T and others, and slurp up all traffic in case there's anything "interesting" happening that it can classify as "foreign intelligence information." It's the upstream collection that Wikimedia is challenging in this lawsuit, arguing (among other things) that it violates both the First and Fourth Amendments. That upstream program is the one that was first disclosed by Mark Klein, a former AT&T technician who wandered into the EFF's offices a decade ago with the evidence. This resulted in a lawsuit -- Hepting v. AT&T -- that AT&T was able to get out of thanks to Congress passing a law granting the telcos retroactive immunity for helping the NSA. The EFF has a long-running similar case against the NSA over the upstream collection -- Jewel v. NSA -- which recently suffered a setback, in that the judges claimed there wasn't evidence for "standing." That is, the plaintiffs need to be able to prove that they were spied on -- which is a fairly tough barrier. Another case that was filed on similar grounds, by Amnesty International (also with the ACLU), also lost at the Supreme Court on the question of "standing." However, as it later came out, that victory was based mostly on a false statement from Solicitor General Donald Verrilli, who had argued that if the US government made use of any of the upstream collection data in a lawsuit against someone, the government would need to reveal it to the defendants, who would then have standing to challenge it. Only later -- thanks to a Senate speech from Senator Dianne Feinstein -- did it come out that the DOJ regularly made use of information collected this way without ever alerting the defendants about how the information was collected. Wikimedia thinks that it has a chance to get past this "standing" hurdle, thanks to the following NSA slide that was leaked in the Ed Snowden revelations: See that big Wikipedia logo? That seems to be the NSA admitting that it's spying on Wikipedia users. The 2013 mass surveillance disclosures included a slide from a classified NSA presentation that made explicit reference to Wikipedia, using our global trademark. Because these disclosures revealed that the government specifically targeted Wikipedia and its users, we believe we have more than sufficient evidence to establish standing. The harm to Wikimedia and the hundreds of millions of people who visit our websites is clear: Pervasive surveillance has a chilling effect. It stifles freedom of expression and the free exchange of knowledge that Wikimedia was designed to enable. During the 2011 Arab uprisings, Wikipedia users collaborated to create articles that helped educate the world about what was happening. Continuing cooperation between American and Egyptian intelligence services is well established; the director of Egypt’s main spy agency under President Abdel Fattah el-Sisi boasted in 2013 that he was “in constant contact” with the Central Intelligence Agency. So imagine, now, a Wikipedia user in Egypt who wants to edit a page about government opposition or discuss it with fellow editors. If that user knows the N.S.A. is routinely combing through her contributions to Wikipedia, and possibly sharing information with her government, she will surely be less likely to add her knowledge or have that conversation, for fear of reprisal. And then imagine this decision playing out in the minds of thousands of would-be contributors in other countries. That represents a loss for everyone who uses Wikipedia and the Internet — not just fellow editors, but hundreds of millions of readers in the United States and around the world. Given how much difficulty other cases have had in establishing standing, it appears that this may still be a challenge here. However, the fact that the US government effectively misled the Supreme Court last time around at least suggests that maybe it will be open to revisiting the issue this time around. Kudos to Wikimedia for stepping up to the challenge, and to the ACLU for not giving up on this issue. It's a sign of the times that online companies’ transparency reports are starting to include a new section: the Hall of Shame. Automattic, the company behind WordPress, is the latest to do so, highlighting examples of copyright and trademark overreach by prominent figures like Janet Jackson, as well as more local businesses, organizations, and individuals attempting to silence criticism and other noninfringing speech. It even highlighted one example we've written about—and even dedicated a short video to—in which a baked goods company misused trademark to go after bloggers talking about derby pie, a common regional dessert in the Southern U.S. And WordPress is only the latest company to name-and-shame takedown abusers—the Wikimedia Foundation made a major splash last month when it highlighted the copyright saga behind a notorious monkey selfie. We've kept up a Takedown Hall of Shame of our own for years. But these cases of egregious abuse tell only part of the story, and transparency reports also help call attention to a more subtle issue: a large percentage of takedown requests that do not result in content removal. That is to say, services routinely receive large numbers of bogus takedown demands. There's a real trend here. According to the latest numbers, Twitter does not comply with nearly 1 in 4 takedown notices it receives; Wikimedia complies with less than half; and WordPress complies with less than two-thirds. Each organization explains in its report that the notices with which they don't comply are either incomplete or abusive. When companies choose not to take down content because the notice is abusive, that's a way of standing with their users, and it's a significant decision. The bargain in the DMCA is straightforward: as long as services comply with takedown notices that meet the statutory requirements, they're granted a "safe harbor" from any legal liability for copyright infringement that might otherwise arise from their hosting of user content. This had led some companies to take the short-sighted approach of removing all content for which they receive a takedown request, even if the request is defective or the content is obviously non-infringing. Since the law was enacted a decade and a half ago, some people have used the takedown mechanism as a censorship tool—sending careless or fraudulent notices in an attempt to silence lawful speech, and hoping that online services will comply just to stay in that safe harbor. And although the DMCA includes a mechanism to punish certain fraudulent takedown requests, the provision has proven difficult to enforce. In other words, there's a lopsided legal incentive that frequently results in services taking down non-infringing speech. The companies that stand up to bogus requests deserve kudos for doing so, and transparency reports are a good place to highlight that user-friendly behavior while also providing data about how often people are trying to abuse the DMCA. The data from the transparency reports also supports the common understanding that users send counter-notices in only a relatively tiny number of cases. For example, Automattic reports that it got only 44 counter-notices for the 3,630 takedown notices that it received. After a short waiting period, a company can restore content for which it has received a valid counter-notice without losing its safe harbor protection. This is an important way for users to restore their non-infringing speech to public view. Supporters of the status quo argue that the low rate of counter-notice means that most notices legitimately target infringement. But that suggestion doesn't take into account how confusing and difficult the counter-notice process can be, and the fact that many users are intimidated by the requirement that they agree to be sued in federal court in case the rightsholder wants to claim copyright infringement (even though this is already true for users who are subject to the jurisdiction of U.S. federal courts). Users also fear the massively disproportionate statutory damages available to copyright claimants and the significant expense of defending even a winning copyright case, and allow themselves to be silenced rather than facing the expense and risk of vindicating their speech in courts. The notice-and-takedown process is supposed to balance the interests of rightsholders, online platforms, and the general public, and transparency reports are an important mechanism to verify that's happening. The numbers paint a troubling picture. Across the Web, we've seen report after report that the number of takedown notices sent to online services is skyrocketing. These three latest transparency reports support that notion, with Twitter in particular reporting a nearly 40% increase in just six months. Taken together with the number of bogus takedowns and the rarity of counter-notices, it's clear that the task of defending free speech is increasingly falling on online services. The notice-and-takedown system unfortunately provides yet another example of how aggressive mechanisms of copyright enforcement are abused to censor legitimate content. We applaud those service providers who stand up to this abuse on behalf of their users. Cross-posted from Electronic Frontier Foundation's Deeplinks blog. I've spent a bit of time in Germany over the past few years, and the entrepreneurial community there is really interesting. It's become a hot place for emerging startups and there's a lot of excitement, especially in Berlin. Similarly, it appears that a number of internet activists have been flocking to Berlin. So it's become a really vibrant community of folks trying to make the internet better. But the one thing that worries me quite a bit about the German internet scene is its very dangerous view of secondary liability -- in that German law and courts tend to lean towards blaming the intermediary for the actions of their users. I learned this the frightening way on stage at conference in Germany, under some very hot lights (in a decommissioned airport) where a somewhat angry questioner in the audience insisted that some comments written on Techdirt by some of our users were "illegal in Germany" and that, under German law, I was liable for them. He stood at the microphone with a laptop reading the comments and demanding I answer for them, despite never having even read those comments, let alone created them. I suddenly started mentally counting down the time until my flight home. I defended secondary liability (and basic free speech concepts) and was able to leave the country without problem (and have been back a couple times since then). However, as a few people explained to me on that trip, a real hindrance to innovation in Germany is this antiquated view of secondary liability whereby sites can almost always be declared liable for actions of their users. It appears that this tragic view has struck again -- this time against the Wikimedia Foundation, the organization behind Wikipedia. The Higher Regional Court of Stuttgart, has found that the Foundation can be held liable for content on Wikipedia. In this specific case, someone argued that some Wikipedia content was libelous. While the court says that the organization doesn't need to proactively police its content, it does say that if anything has received any sort of complaint, suddenly the Foundation can be held liable. Of course, this is a recipe for easy censorship. If you don't like something in Wikipedia, just file a complaint, and to avoid liability, the Wikimedia Foundation will have strong incentive to delete the contested language. Of course, this goes against nearly everything that Wikipedia stands for in terms of how content gets edited on the site. Even if legally required to, it's ridiculous for a German court to basically tell the Foundation that it needs to effectively delete passages of Wikipedia editors and then block that content from being put back. Rulings like this make true user-supported media operations legally difficult to maintain, and will increasingly scare top internet companies out of Germany. If someone posted libelous information, go after them. Putting the blame on an intermediary isn't just misguided, but it also creates a strong chilling effect on innovation. 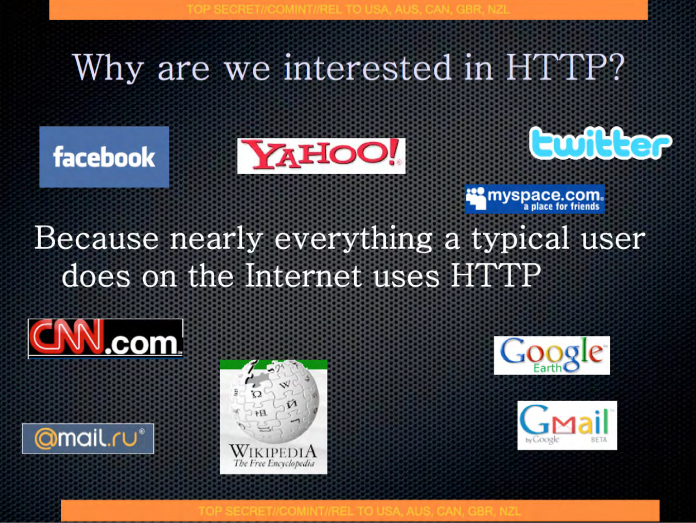 Some users live in areas where HTTPS is not an easy option, most times because of explicit blocking by a government. At the request of these communities, we have made an explicit exclusion for users from those affected countries. Simply put, users from China and Iran will not be required to use HTTPS for logging in, nor for viewing any Wikimedia project site. In the long term, the Wikimedia movement is faced with a choice, which is inherently political: Should we indefinitely sustain security exceptions for regions that prevent the use of encryption, or should we shift to an alternative strategy? If we accommodate [China]'s or Iran's censorship practices, we are complicit in their attempts to monitor and control their citizenry. If a privileged user's credentials (e.g. Checkuser) are misused by the government through monitoring of unencrypted traffic, for example, this is an action that would not have been possible without our exemption. This could potentially expose even users not in the affected country to risks. It could be argued that it's time to draw a line in the sand -- if you're prohibiting the use of encryption, you're effectively not part of the web. You're subverting basic web technologies. Drawing this hard line clearly has negative near term effects on the citizenry of affected countries. But the more the rest of the world comes together in saying "What you are doing is wrong. Stop it." -- the harder it will be for outlier countries to continue doing it. There _are_ effective tools that can be used to circumvent attempts to censor and control the Internet. Perhaps it is time for WMF to ally with the organizations that develop and promote such tools, rather than looking for ways to guarantee basic site operation in hostile environments even at the expense of user privacy. This is surely a better strategy. It would allow Wikimedia users in countries where HTTPS is blocked to access Wikipedia and related projects in a discreet way. Such circumvention tools could also be useful for many other sites that face the same problem, and so would be a force for combating censorship and control in general. Finally, if the privacy situation in the West continues to deteriorate, the software might even come in handy there, too. Wikimedia Scandal: Proof Of Unreliability Or Confirmation That Crowdsourcing Works? While Glyn just recently wrote about Jimmy Wales' effort to stymie UK snooping, it appears there may be other issues to address in England. If Wikipedia has had to fight any stigma, it's been the notion that a crowdsourced encyclopedia in which most anyone could contribute would be so rife with errors and bias as to be unusable. After all, there have indeed been reports of individuals and companies editing negative information out of thier own pages. This perception persists, despite evidence that Wikipedia is every bit as accurate as printed encyclopedias. And so we have another such story, in which Roger Bramkin, Wikimedia trustee, is being accused of running a pay-for-play system using Wikipedia's "Did You Know" and GLAM projects to keep his day job clients in the wiki bloodstream. Essentially, it appears Bramkin took the country of Gibraltar on as a consulting client and then routinely pumped their stories into Wikipedia. Roger Bamkin, trustee of the Wikimedia Foundation UK, whose LinkedIn page describes him as a high-return-earning PR consultant, appeared to be using Wikipedia's main page "Did You Know" feature and the resources of Wikipedia's GLAM WikiProject (Galleries, Libraries, Archives and Museums) initiative to pimp his client's project. Now, it would be easy for anyone so inclined to throw their hands around and make a great deal of noise about how this proves Wikipedia's unreliability. Crowdsourcing, it would seem, has led to corruption of the bloodstream. This hand-wringing would be particularly easy in light of a second such Wikipedian in Residence (an editor held in high esteem) being found to have run a similar operation focused on SEO and Wikipedia pages for paying clients. Wikipedians in Residence are typically required to recuse themselves from editing pages in which they have a conflict of interest, and these incidences seem to violently violate those rules. But here's what is being swept under the rug with all the hand-waving: it was the Wikipedia community members who found all this out and are bringing it to light. This entire incident began on a Wikipedia discussion page over abuse of DYK and that is exactly how Wikipedia is supposed to work. So, while conflicts of interest issues and erroneous entries in Wikipedia are certainly a huge concern, it is selective bias at work to point to them as examples for why crowdsourcing information doesn't work while also failing to mention that the same crowd was responsible for its ceasing. Late last week, a bunch of folks passed along an interesting blog post by David Gerard about a legal dispute between the company Internet Brands and the Wikimedia Foundation (the folks behind Wikipedia). By Gerard's account, Internet Brands -- a company that runs a bunch of content sites, including Wikitravel.org, which it bought in 2006 -- was suing some volunteer admins of the site for "forking" the content on that site and taking up with the Wikimedia Foundation to create a new travel wiki there. As noted, Wikitravel content has a CC-by-SA license (Creative Commons ShareAlike). In response to all of this, the Wikimedia Foundation took it upon itself to proactively file for declaratory judgment that creating a "fork" of Wikitravel is not breaking the law (confusing matters just slightly -- a bunch of former Wikitravel admins had already forked the content and created a separate site in 2006 called Wikivoyage, which is merging into this new travel wiki under the Wikimedia Foundation). Now, let me be clear: I think that suing your volunteer admins is unbelievably stupid and shortsighted. It pretty much guarantees that it's going to be difficult to attract such help in the future. Similarly, some of Internet Brands' actions in trying to stop this new travel site seem at least somewhat questionable. But... in looking over the details of the initial lawsuit, it seems that Gerard and the Wikimedia Foundation (who I almost always agree with) are not telling the full story, and are being slightly misleading. The actual lawsuit against the volunteer admins (and again, it's stupid to sue those admins) isn't because of the "forking." In fact, Internet Brands makes it clear in its own filing that the content is CC-by-SA and can be copied with attribution. Instead, the concerns are over how the admins presented themselves and their relationship to Wikitravel in convincing others to move over to the new project. Specifically, Internet Brands suggests that these admins implied that they were speaking for Wikitravel and the entire community there, by saying that the community was moving over to the new operation. For example, on August 18, 2012, Holliday improperly and wrongfully emailed at least several hundred of Wikitravel members, purporting to be from Wikitravel and informing members that the Wikitravel Website was "migrating" to the Wikimedia Foundation. This is Internet Brand's version of things, but you can see how their complaint might be a bit more legitimate if Holliday really suggested that it was Wikitravel itself that was "migrating." Of course, the text of the actual email (at least the text shown in the filing) suggests that Holliday didn't go quite that far -- though he was at least somewhat vague. Specifically, Holliday's email contained the Subject Line, "Important information about Wikitravel!" and its body stated, "This email is being sent to you on behalf of the Wikitravel administrators since you have put some real time and effort into working on Wikitravel. We wanted to make sure you are up to date and in the loop concerning big changes to the community that will affect the future of your work! As you may already have heard, Wikitravel's community is looking to migrate to the Wikimedia Foundation." That's not quite as clear-cut as IB stated in the preceding paragraph. He doesn't claim to necessarily be "from Wikitravel." He notes that he's writing on behalf of "Wikitravel administrators," which is slightly different, since many of the administrators are volunteers, not employees or representatives of the site. That's part of what makes this tricky. Separately, he doesn't directly say that the entire Wikitravel website is migrating... but rather that the "Wikitravel community" is "looking to migrate." It's a subtle difference, and one could read the email in multiple ways. However, even in the interpretation that favors Holliday the most, you can certainly argue that he was unnecessarily vague, and at least implies that he's speaking for the site and the community as a whole, when he's really just speaking on behalf of some admins and some portion of the community. Finally, IB also complains that even with the CC-by-SA license, the new site failed to provide proper attribution. This is always a bit tricky too, because people disagree over what constitutes proper attribution. But for all the people jumping immediately to Wikimedia's side in this dispute, it's worth noting that on this point, if you're a Creative Commons supporter, you might be interested in IB's argument, because if they're right here, it could provide ammo to others who seek to enforce any CC "attribution" license in situations where people don't attribute. Nothing in the lawsuit really, directly, appears to be about the fact that these guys were creating a "fork" -- despite Wikimedia's claim about the legal fight. Now, you could argue that this is the true intention of the lawsuit -- that it's designed to intimidate these admins and try to throw a wrench into this competitive effort. But, at least on its face, the actual legal filings seem to have a bit more merit than Wikimedia's initial claims suggest. In the end, I (once again) think that Internet Brands is making a tactical (if not legal) mistake in suing, because it will likely tarnish the brand and may make it difficult to attract new admins. And, conceptually, I'm all for Wikimedia Foundation setting up a fork of Wikitravel and trying to do more, and create value that brings the community from Wikitravel over to the new site. But the lawsuit is about these specific activities, in which the filing makes a reasonable argument that a few admins implied they spoke for Wikitravel (or for the wider community) when that was not necessarily the case. Either way, it'll be interesting to see what happens, but I hope that people read the details before automatically assuming the spin that's been making the rounds is entirely accurate. The claims that these admins are being sued for forking Creative Commons content appear to be simply incorrect. Similarly, in my read of Wikimedia's lawsuit seeking default judgment, it seems like they may be going a bit too far. The filing tries to argue that Internet Brands is seeking to prevent the use of the content itself, but the actual filing does no such thing. Thus, it's possible that Wikimedia Foundation may run into some problems, if the court doesn't believe that an actual "controversy" is being presented here. For what it's worth, courts don't always look kindly at declaratory judgment cases if there's no real controversy, as they see them as a waste of time. While there is perhaps the germ of a controversy here, I could definitely see the court reading Wikimedia's filing and Internet Brands' actual lawsuits, and realizing that what Wikimedia describes is wholly different than what IB actually said in its lawsuit, and then just dumping the case.